American Samoan environmentalist Andra Samoa walks the talk. “You will always find her cleaning the wetlands or picking up trash along the road and beaches in Leone,” says her friend and colleague Ginger Porter of the Pacific International Training Desk in Hawaii. “Andra is foremost a community organiser, educator and volunteer in her village of Leone on Tutuila, the main island in American Samoa,” says Porter. A successful businessperson in her own right, it’s Andra’s wide-ranging community work that’s having a broader impact on the day to day lives of American Samoans. For several years now, she has organised skills building training for village women and men on sewing, weaving, fishing, tapa making and gardening in Leone that has expanded to other villages in American Samoa. She has worked with local government authorities to champion environmental conservation efforts such as coral regrowth using indigenous methods in Leone, which has made it a model for other villages in American Samoa. 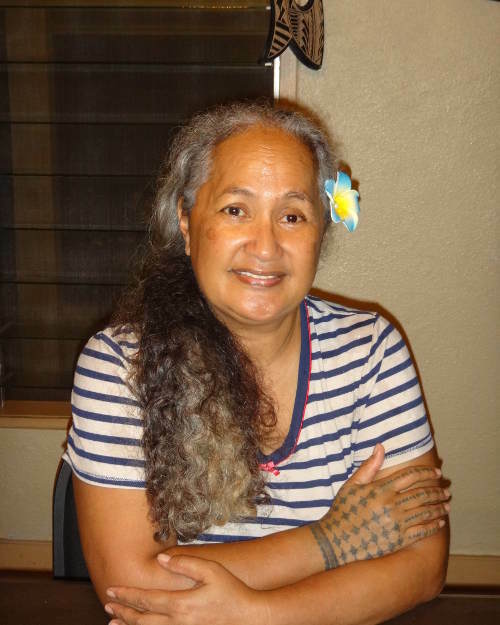 From 2006 to 2013, Andra was the first female Chief Executive Officer of the American Samoa Power Authority (ASPA) where she oversaw water, wastewater, solid waste and power operations and management for the Territory of American Samoa. Under her leadership, ASPA launched the first grid‐connected solar power at the airport, which has been critically important in saving and creating margins for solar power in the region. In addition, during her tenure as CEO, ASPA took on the role of gas distribution when Exxon Mobil Corporation pulled out of American Samoa. Andra is currently the Chief Executive Officer of the Pacific eCommerce Development Corporation, which works on information technology projects both application and infrastructure that support economic development, disaster preparedness, health and education in American Samoa. “In both her professional career and community volunteer work, Andra Samoa is a leader, environmentalist and an inspiration to young women and men of American Samoa,” says Porter. This portrait of Andra Samoa was first published by the Pacific Community for the 70 Inspiring Women campaign, it is reproduced here with their permission.